You may remember earlier this week that there were rumours surrounding some found info retrieved by dataminers about a possible amiibo for Diablo III. It looks like at least one of these amiibos is real. 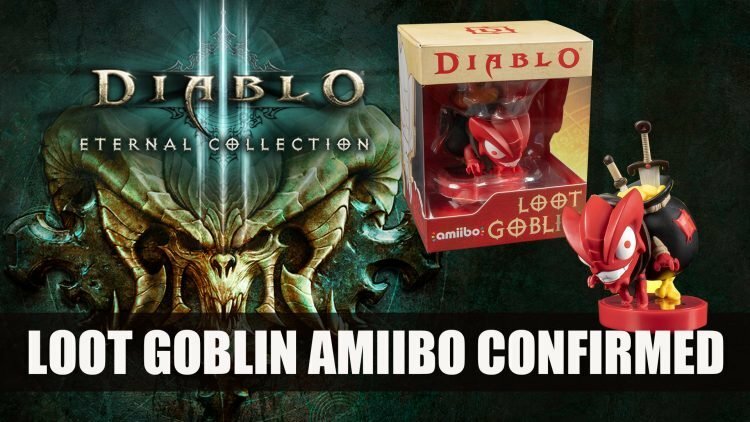 In a tweet today on the official Diablo twitter account, they reveal the latest amiibo to join the gang which is the Loot Goblin for Diablo III. This particular amiibo allows players to scan and find precious loot within the game. amiibos often work across games so who knows what else this guy will yield in other Switch games. Diablo: III Eternal Collection releases on the Nintendo Switch on November 2nd. The Loot Goblin will be making it’s appearance in retailers starting in December 2018. You can check out our previous news article about the amiibo for more details about the different amiibo types.